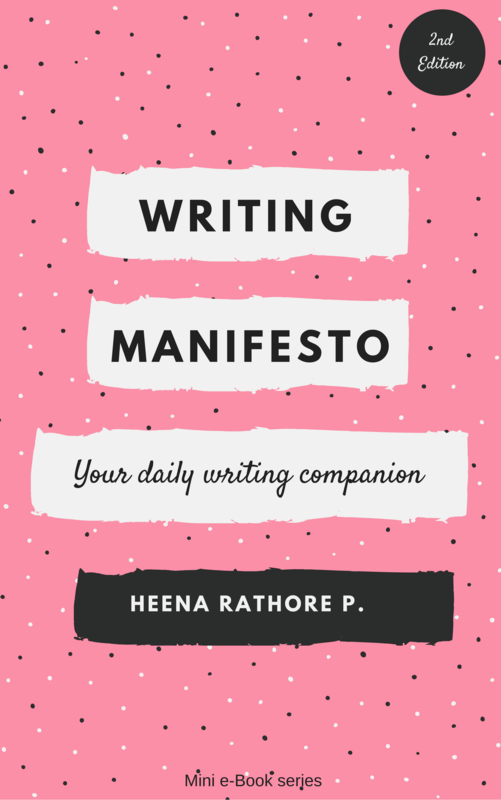 Month End Update #1 – Heena Rathore P.
February 29, 2016 by Heena Rathore P.
I’ve realised that I’m able to post as m much as I used to and as much as I’d like to and as a result, I haven’t been able to keep all my readers updated about my writing and reading and life in general. So, after a while of thinking, I thought I’d start with this post as means of rounding up everything I do in a month. I’ve got a deal for my book, Deceived, from a new (but promising) publishing company. They’ve asked me to make the official announcement in April, so I’m not announcing it “officially” for now. But, yeah, I’ve already bagged a deal and I’ll share the details as soon as I’ll be allowed to. Presently I’m doing the first round of rewriting for Deceived with a professional editor. Who knew there’ll be so much work involved after getting a deal from publisher!? Well, as this is my first time, I’m learning a lot. Good news: I’ve not only received a great deal for Deceived but also for my next 4 books (so in total for 5 books.) My next book is going to be Sinister Town– the one that I’m working on right now. I joined a really awesome group on Facebook- 10 Minute Novelists. If you’re a writer then you really need to join this amazeballs group. The members are super awesome and friendly and extremely inspiring. I made Caramel Custard and Apple Cinnamon Tartlets for Vishal as a Valentine’s Week surprise. On 14th Feb (V. Day) we went for the most amazing massages at Four Fountains De-Stressing Spa. On 16th Feb I went to one of the best cafes in our city- German Bakery (yep, the one famous for the bomb blast) with Vishal and my cousin, and had the most amazing Spanish Omelette and Masala Chai with Spiced Biscuits and Bun Maska. I’ve again started walking 5Km and will be starting my jogging routine in a week. Slow and steady wins the race, right!? Well, that’s all I did… What about you? What all books you read and how many movies you watched this month? How’s your WIP coming along? Please share about your month in the coments below as I’d love to know what you’ve been upto in the month of Feb. Wow!! Your month was happening! Those tarts look yum. My month started with a bang- a wedding to attend, make new friends, meet family and all. But the second half of the month I was cooped up in one room suffering from chicken pox! So, not much of reading or writing on my part. Watched the movie Neerja btw and loved it! What a great start to your month… but I’m so sorry about how the remainder turned out for you. I hope you’re feeling better now. Chicken Pox is really tough! It is funny that you took a break from reading, since it actually is a break activity for most people. But sometimes you need a break from that break. I am glad you could spend time with your mom and enjoyed it, Heena! Haha! I’m literally cracking up here… Lol! I never thought about it this way, but it’s exactly as you put it… Hehehe! This was the first time in a long time that I actually spent quality time with my mum. I mean it was just like when I was young… We played cards all day, gossiped about all our relatives day in and day out and the best part was that, every morning, I woke up to the delicious smells of my mum’s cooking… just like the days in my childhood… I never though I’ll say this, but I can’t wait to go back to stay with her again… 😀 God, all these ramblings are making me cry and miss her now… I’ll just go and call her… Seriously, this is the closest we’ve ever been in years! Haha…. I thought about that immediately… lol! This is so wonderful and touching what you are writing about your mom. How touching this is for your mom. I am happy for both of you, Heena!!! Hi Heena, you certainly had a busy month. I am glad you got to spend some quality time with Mom (we moms, really appreciate when our children take time out of their buys lives for us). Even with a break from reading, it looks like you knocked off some good reads. 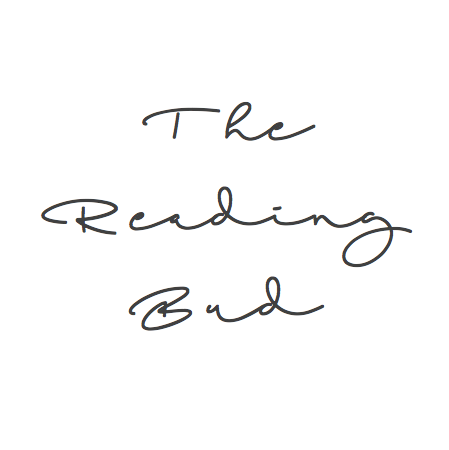 There is no such thing as a break from reading, just a lull. Have a terrific week. Enjoy this extra day of February. Hugs. 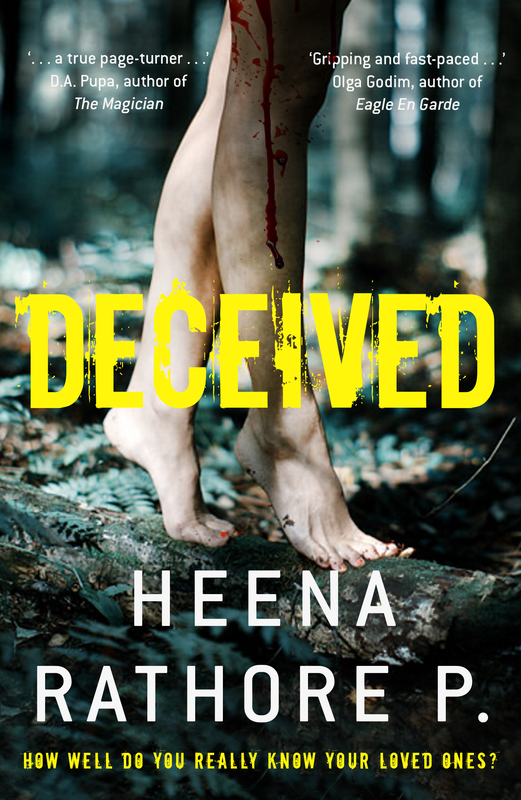 Congrats on your book deal Heena! Looking forward to seeing it in April. Those Apple Cinnamon Tartlets look great! Vishal is lucky to have you. Have a great day, dear friend! You've been a very busy bee, but only great things had come out of it so that's a very productive month. I am still searching for my editor, who is your editor and is he/she willing to do more work, lol? Yeah, it was a really productive month and hopefully, the next few months will be like this only. Hehe! Thanks again for all your encouraging words dear! Congrats again Heena. 😀 Those tarts look awesome. I loved hanging out at German Bakery when I was in Pune. My favourite was mushroom omelet. It must be pleasant there, now. Hey Norma, thanks a ton! Right now it’s way too hot here! The temps are reaching 40-degree celsius and the summers have just started. God knows what’ll happen in the months of May and June. And yes, it gets REALLY hot here… I’m trying my best to stay cool. Thanks.